Shinzo Abe, the new Japanese prime minister and the leader of the most conservative and nationalist wing of the LDP (Liberal Democratic Party), won last elections on December 16th. He didn’t win because of a strong increase in the votes collected, but thanks to the implosion of the DPJ (Democratic Party of Japan) falling from 230 to 57 seats in the lower house of parliament. Many observers and columnists are disappointed with Mr. Abe return in charge (after the previous annual experience in 2006-2007): the Economist, among others, published several tough articles first on last December (Go on mr. Abe: surprise us) the at the beginning of the new year (Down-turn Abe). Many detractors disapprove the foreign policy of the new government, mostly for the management of the Senkaku/Diaoyu islands crisis, and for some provocative statements against South Korea. 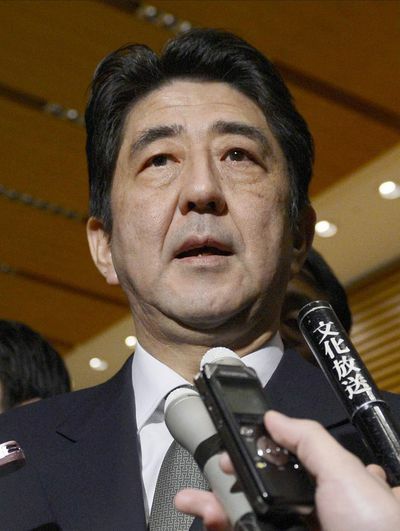 However the most interesting challenge for Mr. Abe is the new Japanese economic policy. He launched a daring stimulus package, involving both monetary policies and fiscal measures, with the aim to recover the national economic from the long lasting deflation. Mr. Abe programme, as known as Abenomics, is structured on three different levels: bold monetary relaxation, flexible application of fiscal stimulus, and a growth strategy for arousing private investment (betting on green industry, hi-tech, research and development). First relevant measures have been taken promptly, as prof. Abe Jun’ichi explains, starting a hot global debate on Abenomics. The government raised the pressure on the Bank of Japan, which set a new target inflation rate from 1% to 2%, while adopting expansive monetary policies. Both the fiscal and the monetary measures appear risky and daring, considering the high public spending / GDP ratio at 236% and the deficit/GDP at 10%, but we should also consider the public debt financing mostly internal and with an interest rate (on ten-years bonds) at 0,82% lower than USA or German rates. Japan can also count on the large commercial surplus credits collected. The first effect of Mr. Abe determined a quick fall of the YEN (with several trading movements as usual) that even if expected to encourage the export, will also raise the import prices, with potential negative effects on the balance of trade. A key issue if we remember that after the complete shut down of the nuclear facilities (after the Fukushima disaster), the country has been purchasing growing amounts of energetic products abroad. Last but not least, the adoption of an aggressive currency policy without any cooperation with other global top player (like EU or USA), could lead to negative currency wars, destroying every potential gain from the competitive fall of the exchange rates (leading to a “third best” scenario, worst than the starting situation, as many classics of economics explain). The hot debate is boiling, among neo-keynesian economists, monetarists, investors and observers all over the world. But the big question we should answer in Europe should be: will we quit the depressive Merkenomics austerity “Berlin consensus”? Europe has the great opportunity to choose a third way, meeting a larger consent, more balanced and tuned than Abenomics. A Euronomics would abandon the present austerity approach, leading to brave and positive expansive policies. This is the right time to act: Japan’s measures will determine several effects also on European economy (for example the increase of Euro value), expected to deteriorate the depressive effects of austerity policies. It’s time to wake up and lead to better scenarios. 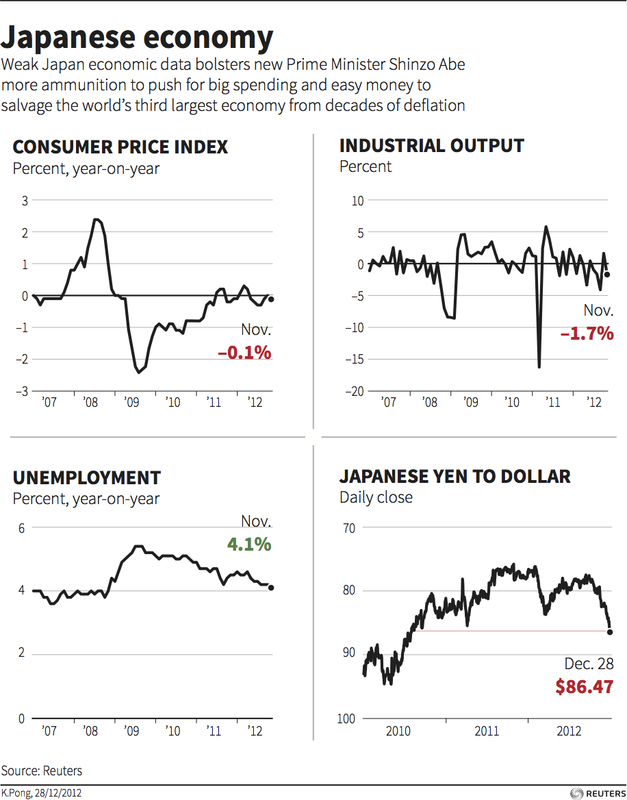 Just before the economic recovery becomes a bitter illusion.